Ryan Murphy, who the created the extremely famous anthology series revealed a trailer and title that bubble with bloody possibilities. Ryan Murphy has finally revealed American Horror Story Season 9’s title and theme in a new teaser trailer reported Deadline. Even though the details of the season remain scant, the possibilities are already definitely tantalizing and gory. The tile of season 9 is revealed to be 'American Horror Story: 1984'. The latest teaser trailer is also going to be the premise of Billie Eilish’s debut single, “Six Feet Under” which is also a timely choice given the recent release of her smash-hit new album and it also embodies the spirit of many slasher films of the 1980s. These movies went on to inspire Jordan Peele’s 'Us.' 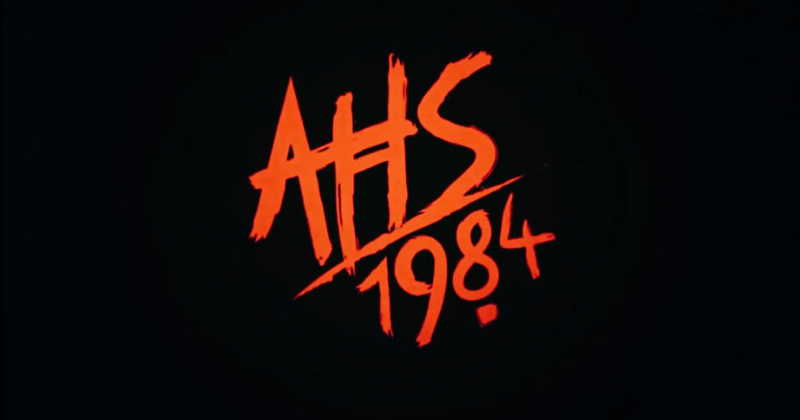 Murphy and his collaborator, Brad Falchuk, have long infused their horror anthology with references to the classics and going by the title of the latest season of the anthology it seems almost certain we’ll get another season packed with allusions. Emma Roberts is coming back to season 9 and her boyfriend will be played by Olympic silver medalist freestyle skier Gus Kenworthy. It is not yet known if Sarah Paulson will be returning for the 9th season. Along with Evan Peters, they’ve appeared in every single season of AHS, however, the actor says he’s sitting this season out. Following the dystopian implications of that particular year, thanks to a certain book by George Orwell, it is also worth considering the possibility that A.H.S. might delve into topical territory again, as it did in Season 7, 'Cult'. Additionally, no Coven witches this season will make an appearance so there’s no telling how the upcoming season will connect to the last eight, which have been set as far back as the 1950s and as recently as 2019. The eighth season was just redefined as a drama instead of a limited series because of “continuing story threads, characters, and actors.” The show was already given a green light for its tenth season, so let’s hope for the inevitable return of Sarah Paulson’s much-loved Cordelia. Apart from AHS, Ryan Murphy has been working on multiple projects like the movie adaptation of the musical 'Prom' and dark comedy The Politician, starring Ben Platt and Bette Midler, among many other big names.